Below are drawings that were submitted to the Corian Fabrication house, Evans & Paul. We had the box fabricated in house at Corian because the material is difficult to work with. It can not be laser cut with most lasers because it tends to bend and melt before cutting, you can not create a thread when drilling through it, and gluing pieces of Corian together requires a special glue that is in essence a liquid Corian. We specified a 1/4″ thickness. The exterior of the box and base of the inner tray are made of the ‘Glacier Ice – Illumination Series” Corian. All of these surfaces were called out in Gray. 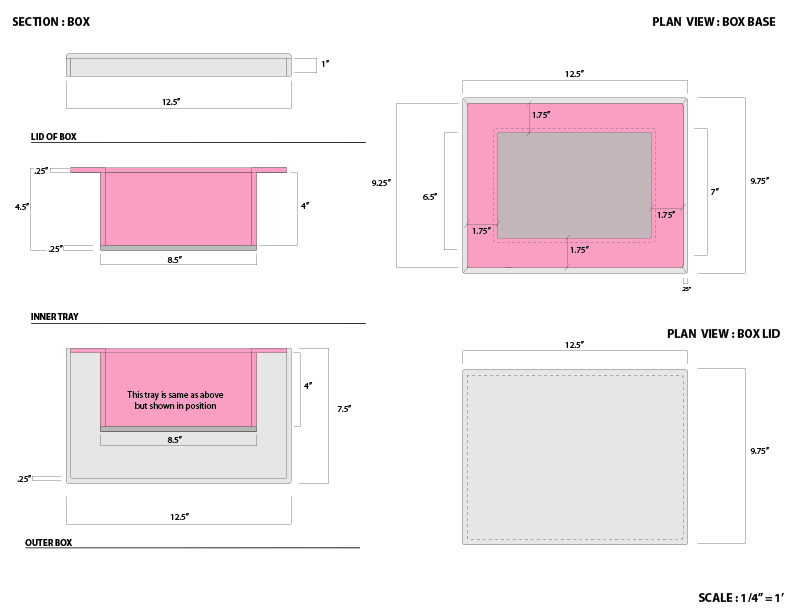 The walls of the inner tray and the flush top of the inner tray are made of ‘Glacier White, Non-Illumination Series.’ These surfaces were called out in pink. When we first received the box back, the tray was made entirely out of the non-illumination series. It also had a 1/16″ gap between around the edge so the surfaces were not flush. We had to return the tray to get both of these issues corrected. 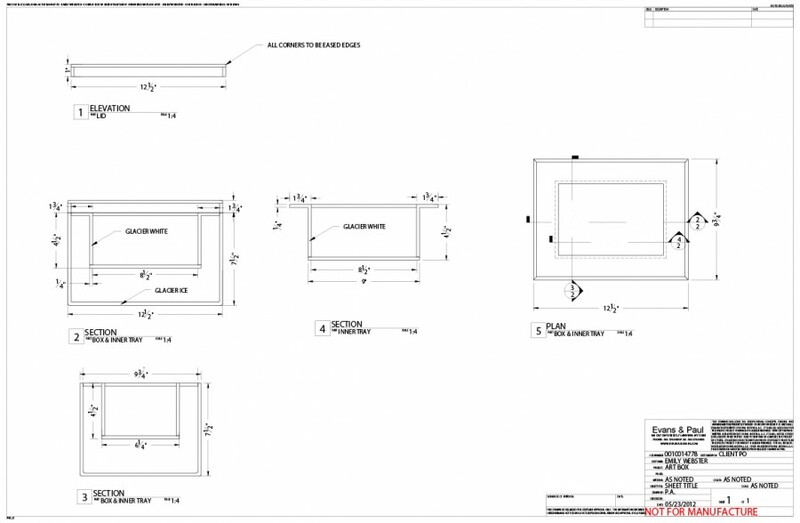 We received shop drawing back from the production team, which are below.